For the past few weeks I have been thinking about a Ricotta Cheesecake, I originally planned on using cherries for my topping, but my wife ate them before I had a chance to make it…..don’t get me wrong she didn’t eat them all in one sitting, it was over 3 or 4 days, but of course I didn’t notice until I was ready to make the cake. So I bought more cherries, but I also bought strawberries and blueberries, and while I was pitting the cherries for the cake (eating more of them than I should), I decided on strawberries and blueberries instead of the cherries. 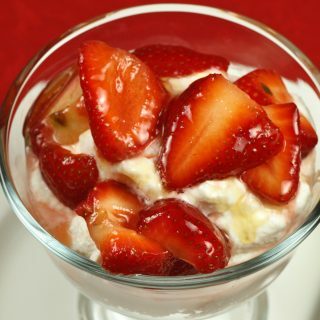 It would be the perfect dessert to celebrate the summer and the upcoming 4th of July. As I searched for a recipe that included ricotta and mascarpone I wasn’t happy with what I found. I couldn’t find anything in any of my cookbooks that sounded good to me. But I had a pretty good idea of what should go into the cake. So I figured I would just wing it. I knew I wanted it to be creamy but also had to have that ricotta base, so I added a little of this a little of that and my new love Greek Yogurt. I wanted the crust to be a little different, and as luck would have it, I found digestive biscuits and pistachio’s in my pantry…..perfect!! If you’re not familiar with digestive biscuits I like to think of them as Adult Graham Crackers. So here is my version of an Italian Ricotta Cheesecake, and I do hope you enjoy it. In a food processor, grind up the pistachio's and then the digestive biscuits to fine meal. The mixture should be wet enough to form, but not so wet that it oozes butter. Form crust into your spring form pan and bake at 375 degrees for about 7 minutes. Let cool. In your mixer blend together the Ricotta Cheese, Mascarpone, and Greek Yogurt, blend until smooth. Blend well until very creamy. Pour Mixture into prepared Spring form pan and Bake at 375 degrees for 50-60 minutes in a conventional oven or until the cake has set in the middle.. The top of the cheesecake can get brown, if you are not topping it or prefer a lighter top, cover with foil for half of the time in the oven. Wash Strawberries and Blueberries and dry well. Cut the tops off the dried Strawberries and place around the outside of the Cheesecake, fill inside with the blueberries, they should be two deep in the middle of the Strawberries. Place all but 1/4 cup of the juice and lemon juice and sugar in a saucepan, heat to near boil. Mix corn starch, into remaining juice and make into a slurry, add to the heated juice and bring to a low boil. Your mixture should start to clear as it thickens, remove from heat and allow to cool for 5 minutes then spoon over your berries. Refrigerate cake for at least 4 hours or overnight. Cheesecake will be soft and crumble unless you give it time to set up! I know it's hard to resist but it will be worth it!! step by step explation is good. This recipe looks fabulous! 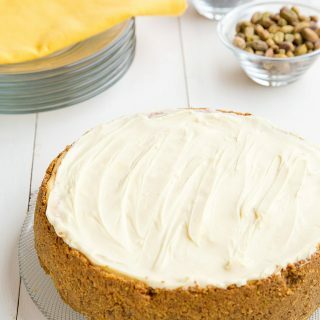 Rich and creamy, this cheesecake would take first place in my home! Thanks for sharing! Thank you Jodee, it is one of my favorites! My favorite greek yogurt brand comes in a lemon flavor. It ocurred to me that the flavor and texture would be perfect for a ricotta cheesecake, so I went online searching for a recipe to use as a starting point. I found this blog post, and used the lemon yogurt in your filling recipe (instead of lemon juice and zest). Oh yum!! I am not ashamed to say I am eating it for breakfast with some fresh berries! I used a pre-made graham cracker crust, so I still have enough filling from the recipe to make a 2nd pie! I made the cheesecake or more precisely mini cheesecakes. I did not have all the ingredients and had to make a lot of substitutions and also I made them in small muffin tins – a big mistake, they collapsed when I tried to release them. I posted my results here (http://cookingrookie.blogspot.com/2011/04/mini-ricotta-cheesecakes.html) and recommended checking out your post for a much better recipe :-). This recipe got to me just in time – I am looking for ways to use up my farmers cheese, very similar to ricotta, and now I know what it will be made into :-). This looks like the kind of recipe that made that day. I enjoy it with you. This looks (and sounds) delicious!!! I can't wait to try it! However I suspect it won't look as pretty as what you've done here ;)! Great job! A perfect summer dessert, and the colors are wonderful! This looks absolutely wonderful! Love the red, white, and blue! Such a beautiful cheesecake; hope you got to eat it too! you sure make ricotta look and sound good! my husband LOVES cheesecake (and i have to admit i eat my fair share of it, but we're both not huge ricotta fans… this just might be the thing that turns us around! i'll have to try the recipe someday… sooner than later! thanks for sharing! Whoa. Amazing pictures, looks delicious. 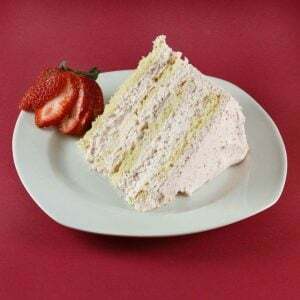 I wish I could eat cheesecake, but I'm lactose-intolerant, can you imagine being a pastry chef and being lactose-intolerant? Terrible. Anyway, if there was ever a cheesecake I would willingly get sick eating, I would totally pick this one. And again amazing pictures! This look so yummy! Not just yummy but so appetizing as well..love the colors! Love your blog! That does look delicious indeed. I've never made a ricotta cheesecake before. I like to make homemade ricotta so this would definitely be a good application for it. Just one question (and maybe I missed it): what size springform pan did you use? I assumed 9" until I read 6 eggs and then I started looking for a pan size but couldn't find it. Thanks much! First time on your blog. Great stuff!! How lovely! You managed to achieve the perfect 4th of July dessert without the use of any red, white, and blue food dye. I've just recently discovered the heaven that is Greek yogurt as well. So far I've been enjoying it straight up for breakfast but I'll have to try it in cheesecake as well! 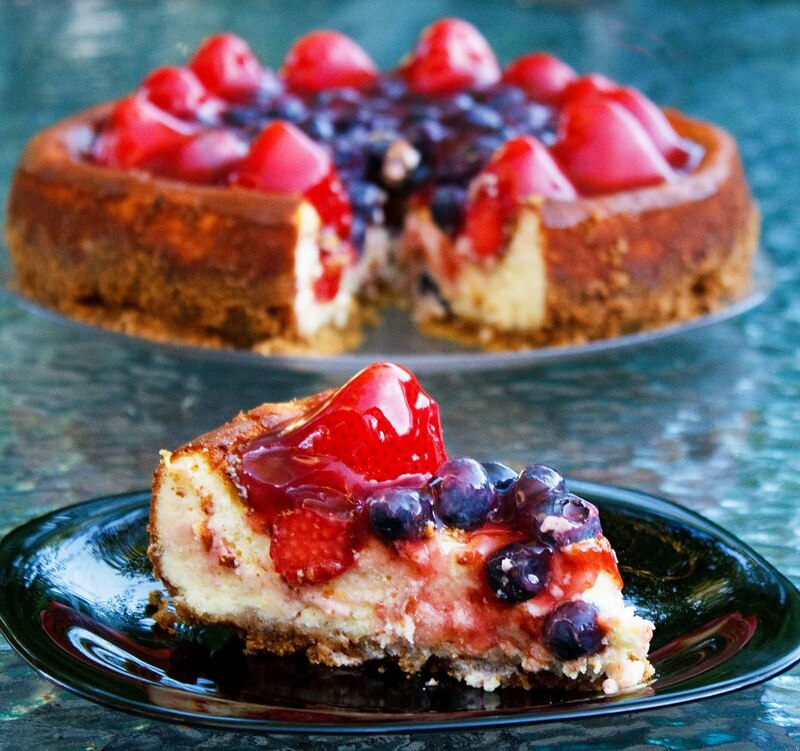 goregous ricoota cheesecake, it suit the 4th perfectly, I also wanted to make something with cherries, but my girls ate all the cherries too, but they finished them off in one sitting…too be young..
That´s my first time here at your wonderful blog! I would like to leave my compliments, you can show us real wonders here! 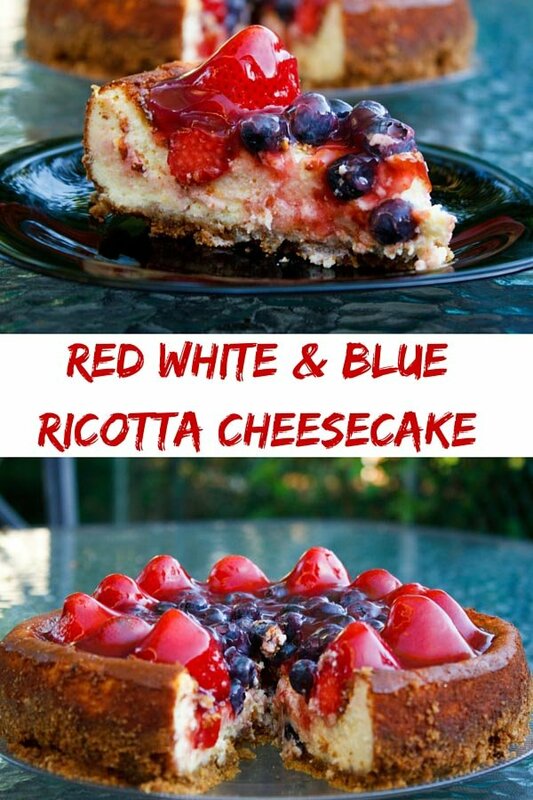 And I say that I loved the title of that post in particular: red, white and blue dessert, very creative! OMG Dennis you have 112 comments!!! I gues i'm very late to this post. Sorry as I just got back form vacation. I love ricotta cheese! Your cake looks absolutely stunning and it looks creamy as you wanted to. Gorgeous cake!! Looks delicious! I love the shiny topping and that you used pistachios in the crust! They're the best nut ever! Gorgeous. The problem with all these wonderful desserts is that feel compelled to make them only when we have guests, otherwise I would eat it all! Oh WOW that looks gorgeous. So delighted to have discovered your blog! Lovely dessert…I never tried to make cheesecake with ricotta…looking at yours, I'll definitely try it soon…looks awesome! This is a spectacular dessert. I have not had cheesecake made with ricotta since I left the North! A good friend (from Boston) talks about her recipe often, so now it's a must do after seeing yours! You should take the weekend in Sept. and come to Atlanta for FBF! It will be a great event. Questo cheesecake è fantastico, sembra che il suo profumo sia arrivato sino a me. Ciao Daniela. I don't know what it is you're doing different Dennis, but your lately your photos are really popping!! This looks incredible! I dare the FB editors to ignore you now!! Wow…that's such a beautiful cheesecake! I think I have not seen so much cheese in a cheesecake. Must be very delicious. Thanks very much for sharing. OMG – this looks amazing! 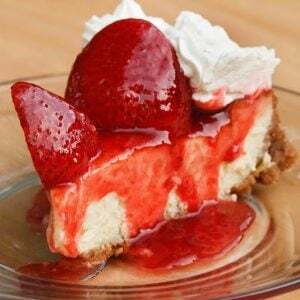 I adore cheesecake, so I'd be up for a slice of this any day. Looks so good! love all those fresh fruits at the top….yummy! If that isn't a dish to die for, I don't know what is. Wonderful! What's not to love about this! It looks absolutely delicious. I feel like a cheesecake virgin though because I've never had one with ricotta before. I thought about you and that awesome farmers market when I was driving through Delaware last week. I hope you had a fabulous 4th! Hi Dennis! 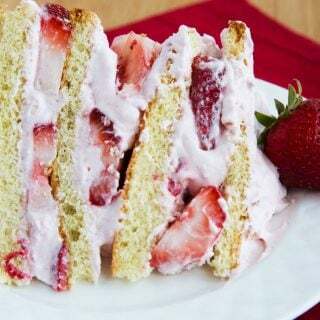 Thanks for the comment on my pound cake recipe! I love that you created your own cheesecake recipe! 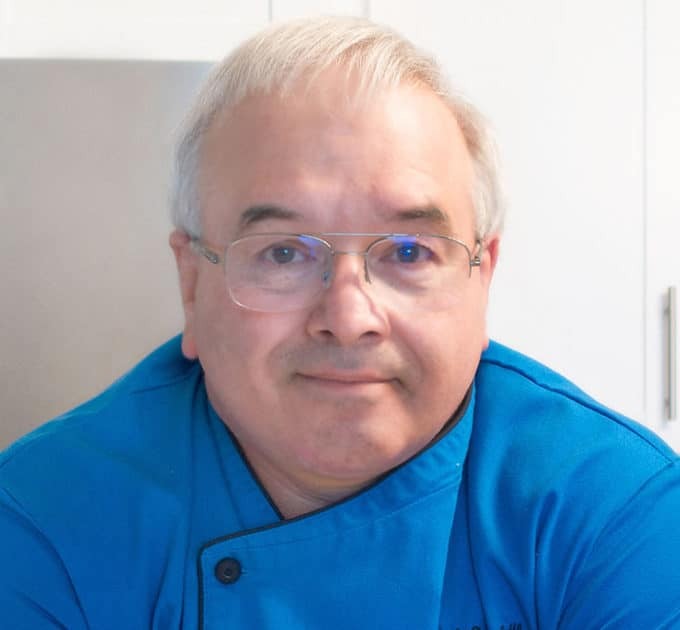 So many blogs feature unoriginal recipes. I'm so glad I found your site! Thank you for your tip about my avocado & watercress salad. I really appreciate your comments! a perfectly patriotic and pleasing dish, dennis! it's positively gorgeous, and quite unique–bravo. I am in love…can i bring you home?? LOL! I guess it's time for me tot ry a cheesecake w/ ricotta..
My husband and I fight over cheesecake. Usually we share a slice and I head straight to the back for the crust. That's the best part and unfortunately he agrees. I gave you a Sunshine Award today. Details on my latest post. Thanks for your support! Oh my gosh….to die for. 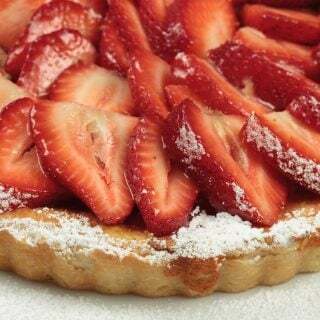 Thank you for the nice comment on my tart noir – this looks incredible. I too have seen so many recipes with ricotta, but need to use it in a cheesecake rather than lasagna. Bravo! This looks brilliant. You call it a cheesecake and I'm in! Ohh…Dennis your cheese cake just looks so so so tasty. I must give it a try some time. I probably have to run to supermarket buy the ingredients now. Your blog is gorgeous, I'm going to follow it from now on. This recipe cheesecake with ricotta sounds especially appealing for the long summer. Oh my goodness! Another gorgeous dessert. I love the addition of yogurt to the cheese cake. I can just imagine how it softens the texture and tartens (is that a word?) the flavors! Brilliant idea! Never heard of digestive crackers, but I'll look around for them! I love ricotta. awesome cheescake and happy belated 4th of july to you! Just when I think you can't top your pomegranate cake and tiramisu desserts, you create this stunning cheesecake! Wow, wow, wow! I've never heard of digestive crackers before, very interesting. Wonderful job on a gorgeous recipe and stunning photos! The best looking cheesecake ive seen in a while! yuuuum! lol. I love your patriotic cheesecake. Ricotta is such a wonderful filling. Oh my, I'm so glad I found your blog. Those berries are absolutely beautiful. Great post and lovely blog you have! Normally a Mix ricotta and yoogurt is absolutely nice for these recipes, love your recipe!! OMG! Dennis I really love ricotta cheescake and find this is absolutely georgeous, absolutely! I love ricotta, now I mak my own ricotta recipe and is really nice. 4th! Or anytime! I like the idea for your crust and also the yogurt in the filling. Really looks delicious! Dennis, the cheesecake looks wonderful. I, too, am a new convert to Greek Yogurt and was thrilled to see that it played a part in this recipe. Love the use of the rich mascarpone and the digestive biscuits. I can see why your wife was such a witting accomplice in this cheesecake's disappearance! Dennis now you have me thinking about Ricotta Cheesecake. What a beautiful dessert. Mmm Dennis I could go for a HUGE slice of this cheesecake right now! And from the looks of it, a ton of other people can also. GREAT creation. It's awesome that you winged it! I wish I had more people to feed, then I could make huge cheesecakes like this also! I love ricotta cheesecake. Greek yogurt sounds like the perfect addition. Your photos are gorgeous! What a lovely pie…perfect for 4th of July! Hope you had a great 4th. Love love love your patriotic cake! Absolutely gorgeous! I love patriotic desserts, and this is worthy of a star spangled celebration!